Nintendo creative maestro Shigeru Miyamoto is a genius. He’s generally considered to be the greatest game developer of all time. And, just like you and me, all he wants to do is climb trees. Here’s a fun story from deep inside Nintendo, a company that doesn’t often speak openly about their development process. 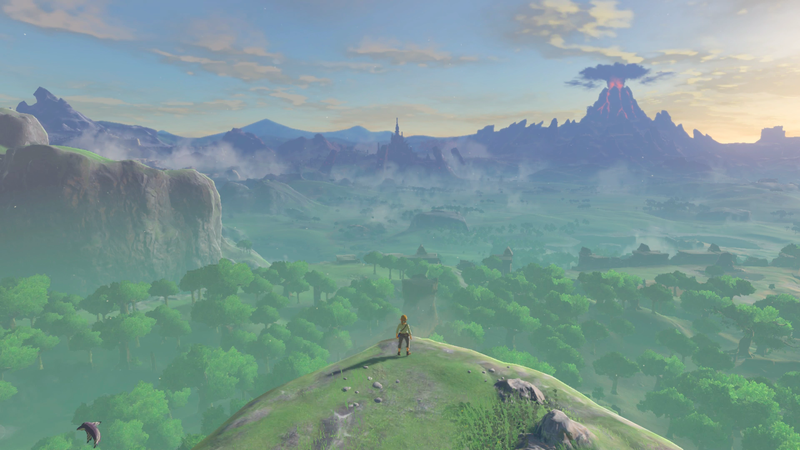 When Nintendo was first conceptualizing the next big Zelda game, Miyamoto and Zelda series producer Eiji Aonuma asked the directors to describe Breath of the Wild’s main theme. What, they asked, could you do in this new Zelda? Zelda: Breath of the Wild director Hidemaro Fujibayashi decided to get a little ambitious. “My response to Mr. Miyamoto and Mr. Aonuma was: You can do everything,” Fujibayashi told me during an interview last week in San Francisco, speaking through a translator. It was then that Fujibayashi and his team realized they’d made something special—a game where the act of climbing could be just as fun as riding horses and slashing monsters. From there, they designed around a concept that they called “multiplicative gameplay,” referring to the way in which Breath of the Wild’s various objects and mechanics work to enhance one another. Instead of adding a bunch of new gimmicks and ideas, they picked a few core mechanics—climbing, gliding, magnetic force—and tried to use them in as many ways as possible.